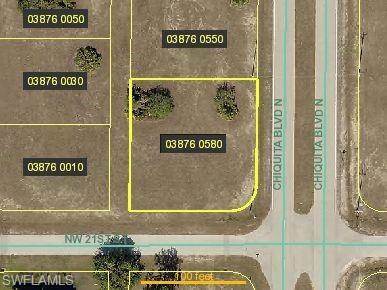 Don't miss this great oversized, corner building lot in a growing area of NW Cape Coral! You won't find many this size with over .37 acres with plenty of room to build that new home with a 3 or 4 car garage! Close to Coral Oaks Golf Course, boat ramps and easy access to Burnt Store Road!